Quarterback John Elway arrived in 1983. Originally drafted by the Baltimore Colts as the first pick of the draft, Elway proclaimed that he would shun football in favor of baseball (he was drafted by the New York Yankees to play center field) unless he was traded to one of a selected list of other teams, which included Denver. 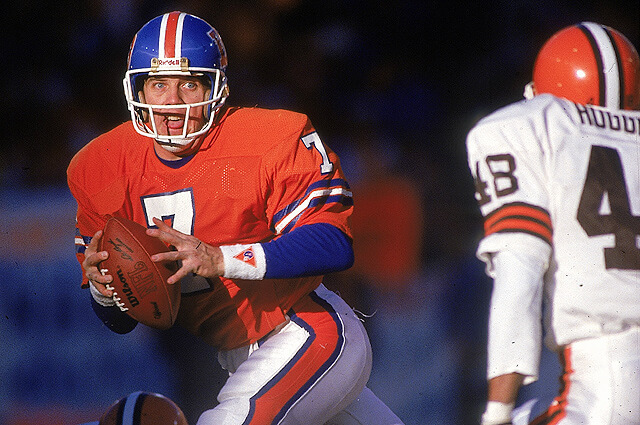 During the 23 seasons prior to Elway’s arrival, Denver used over 24 different starting quarterbacks.